Toyota did a great job at designing the 2015 Sienna around it’s daily requirements. 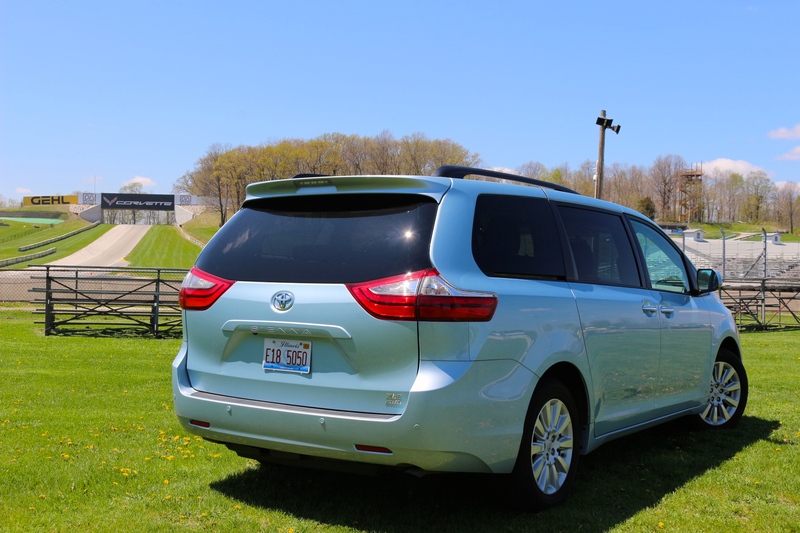 Maybe it’s just the fact that our test Sienna came in a “Sky Blue Pearl” which is Toyota’s paint code for baby blue. So clearly it wasn’t love at first sight, but we first became friends, and the more I drove her the more “sky blue pearl” grew on me, until one thing lead to another and it happened — I was sold. The Sienna manages to shame the much better looking Honda Odyssey and the quite striking Kia Sedona in areas like ergonomics and user friendliness. 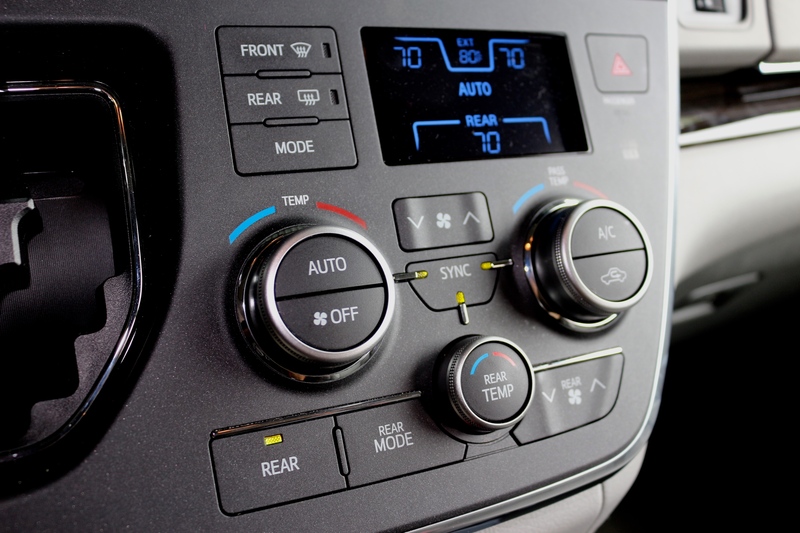 I became fan of the Sienna the day that I DIDN’T have to take time to learn it’s dash controls… yup, I said it. I didn’t have to take fifteen minutes out of my day to learn how to use the A/C or the radio, or even the blue-ray player! I don’t know what kind of wizards Toyota is employing to make things be so seamless. For example: if you want the fan speed to be higher, you hit the arrow UP, if you want it lower then you hit the arrow DOWN. You don’t have to dig through the touchscreen submenus. Stuff just makes sense. 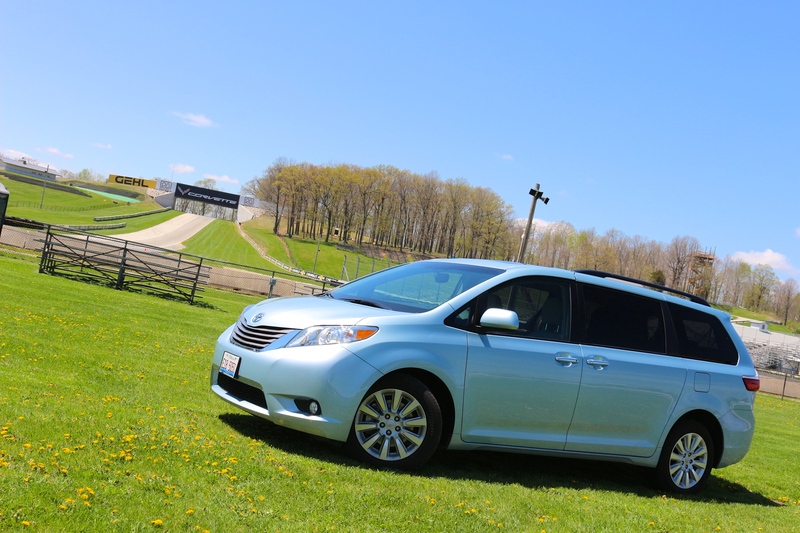 Check out our video on our favorite features on the Toyota Sienna. Let’s talk about what’s under that baby blue skin. Toyota fitted a smooth-revving 3.5-liter, 6-cylinder engine that produces 266-horsepower, which paired to an optional AWD drivetrain becomes a bit of a gas hog. We spent some serious time behind the wheel of the Sienna, and at no point could we surpass 18mpg, which is a bit rich for my taste. BUT, it’s no surprise for AWD vehicles to be a bit thirstier than FWD vehicles, as the non-AWD Sienna delivers a more reasonable 25mpg. On the road the Sienna is light and nimble, and the engine, transmission and suspension work in beautiful harmony to deliver a smooth, comfortable and pleasurable ride for the driver and passengers. So whether you are running errands, or driving across the country, the Sienna will provide excellent and safe accommodations. And speaking of safety, the Sienna offers LATCH anchors on every seat in the second and third row (including captain chairs), and even third-row rejects are covered by side curtain airbags. Here is a breakdown of the Sienna’s safety features and crash ratings. 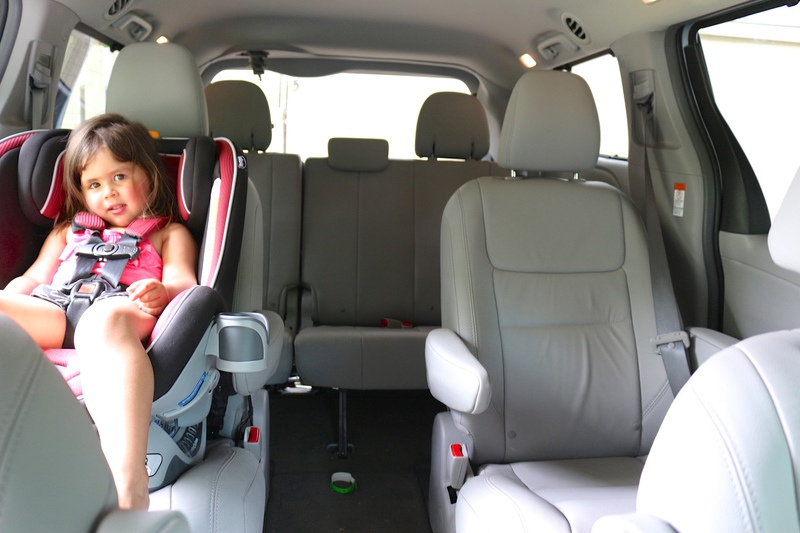 Spending a little over a week with the 2015 Toyota Sienna reminded me of when my three year old daughter was younger, and she said she didn’t like tomatoes because they looked weird. Of course she had never actually tried a tomato. Now she love tomatoes. And while I’d never call the Sienna weird looking, because it really isn’t. It took me spending time behind the wheel and using all of its features to appreciate it for what it is — an excellent way to transport your family. Inside interior looks great. And I agree with the exterior look being blunt.